Advanced Surgicare is a leading specialty and weight-loss surgery center in the Sydney area. 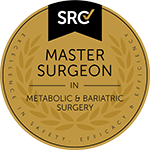 Dr V. Kuzinkovas is a top bariatric surgeon, providing treatment from his offices located in Kogarah, Campbelltown, and Bella Vista. 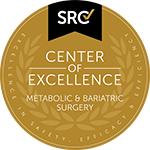 Dr. Kuzinkovas provides patients with the highest quality surgical services and offers a wide range of procedures within the scope of Laparoscopic General, Weight-Loss, and Upper Gastro-Intestinal Surgery. Our multi-disciplinary team comprises experts who have many years of experience in the field of surgery and medico-psychological aspects of pre and postoperative care. Our philosophy at Advanced Surgicare is based on belief that every patient must be treated with dignity and compassion. We practice only patient focused service by applying the principles of medical ethics and surgical expertise. Our dedicated team helps patients to address their surgical needs and believes that - as weight loss and gastro-oesophageal surgery involves operating on patient's upper gastro-intestinal tract, only the experts of this field can achieve the best results.